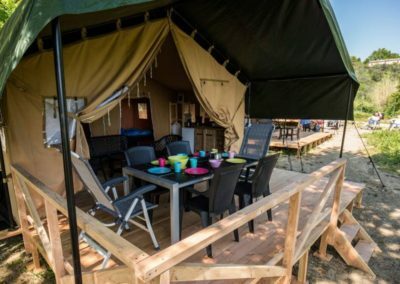 Very luxury Chalets and Safari tents on camping Spineuse. 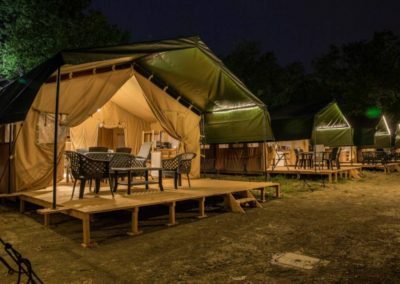 Do you want to rent a safari tent? 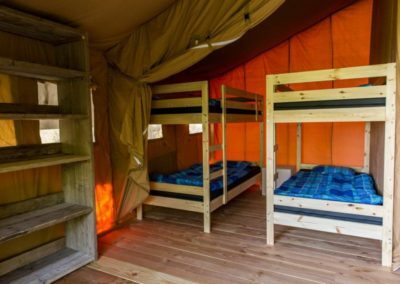 Our safari tents are equipped for six people. 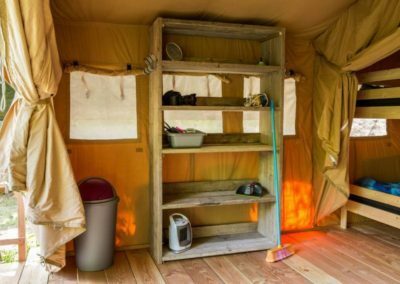 With a floor area of ​​approximately 40 square meters and standing height in the entire tent, you have no lack of space. The front of the tent can be opened completely, with nice weather this is very enjoyable. In the back of the tent there are two sleeping cabs. 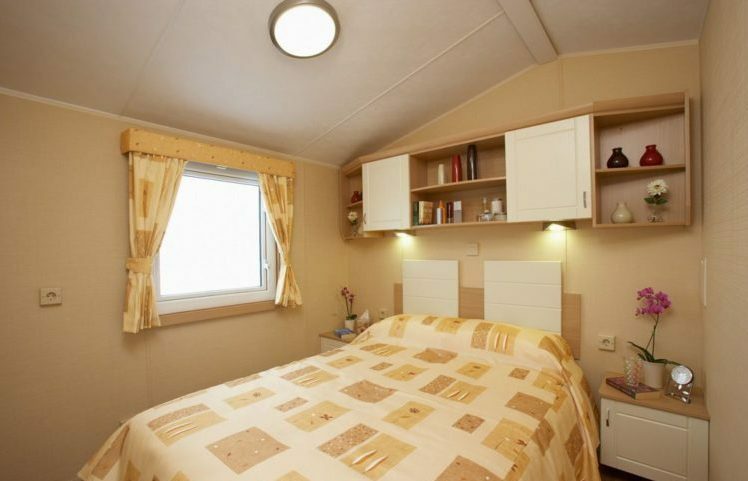 In one sleeping cab there are two bunk beds and in the other a double bed (140x200 cm). 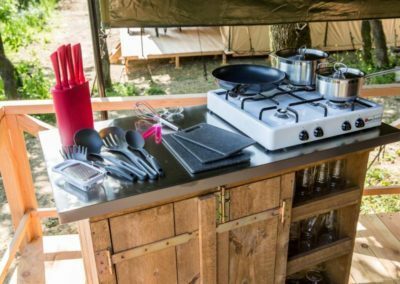 In the safari tent there is a kitchen on wheels that is easy to move outside, so that you can cook outdoors when the weather is nice. 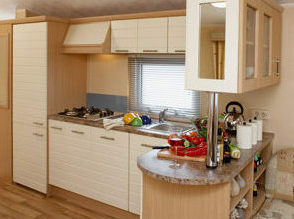 The kitchen is equipped with a four-burner, thermally protected gas appliance. In the kitchen cabinet you will find dishware and everything you need to cook delicious. 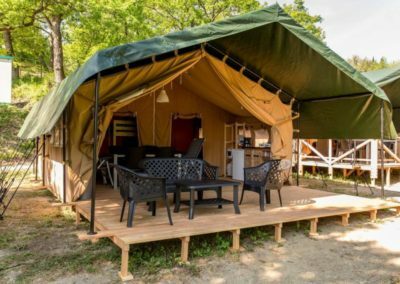 An important feature of our safari tents is the awning so that you can sit outside even in less weather. 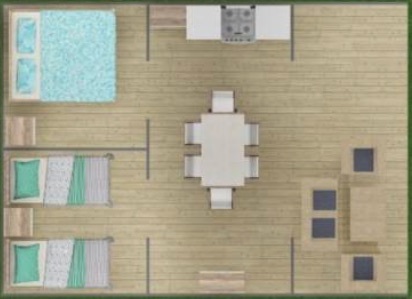 Under the awning is a lounge set and in the living is a high table with chairs that can all be easily moved. 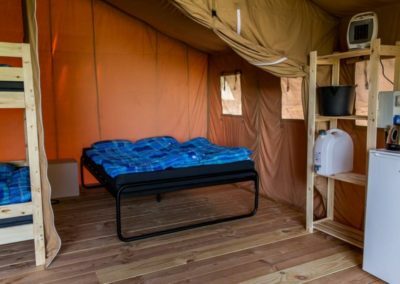 There are no sanitary facilities in the safari tents and no running water is present. 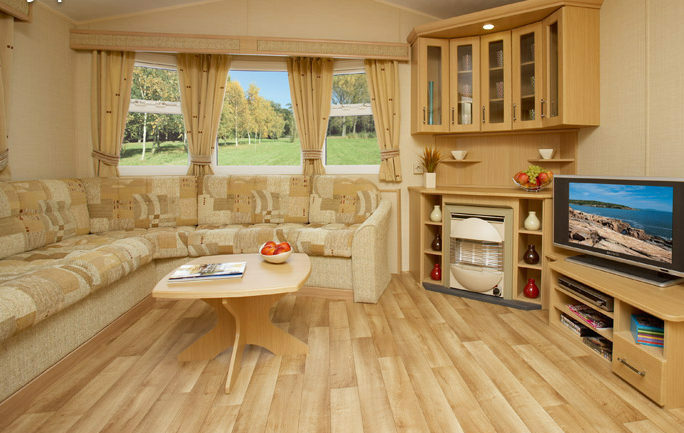 There is electricity and there is lighting in the sleeping cabins, the living area and under the awning. 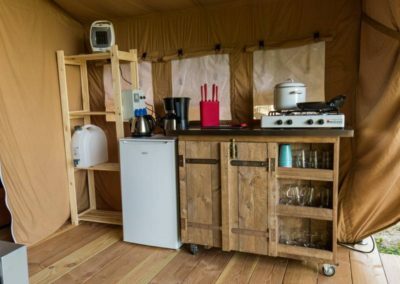 There is also a fridge, coffee maker, kettle and a small stove. Of course there are standard pillows and duvets available. Pets are allowed. The rate for a pet is € 5 per night. On the day of arrival your tent is ready from 15h00 and you can check in at the reception. On the day of departure you have to leave your tent before 10h00 and check out at the reception. Pets are allowed. The tariff for a pet is € 5,- per night. On the day of arrival, you can access the chalet from 3pm and check-in at the reception. 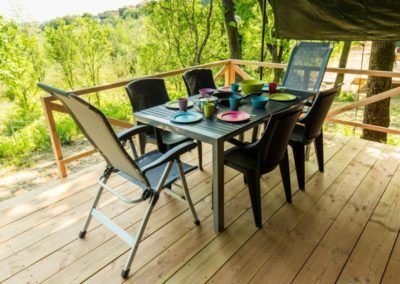 On the day of departure, the chalet should be checked-out before 10am at the reception.